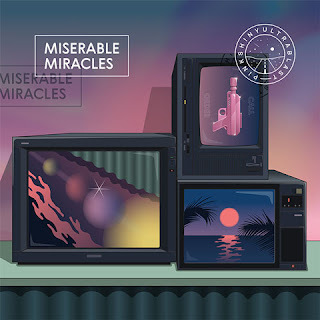 Mapped By What Surrounded Them: Jam of the Day: Pinkshinyultrablast - "Eray"
Throw in Chvrches' synthpop drive, add some Cocteau Twins-like layering of guitars, and a touch of Eno-esque ambientness for texture, and you will come up with Russia's Pinkshinyultrablast. The only collusion here is some great influences that merge together flawlessly. From their record Miserable Miracles, "Eray" is a tightly constructed synthpop gem.